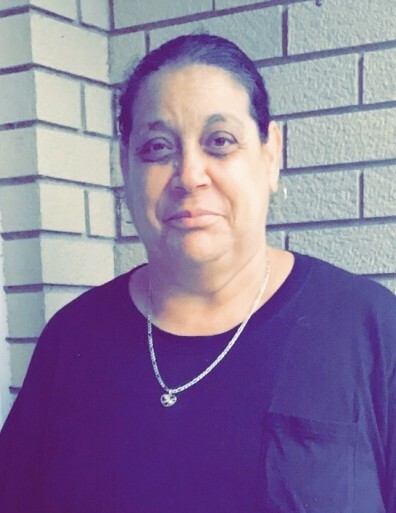 Bernardina Monrreal, age 59 of Troy, passed away November 18, 2018 in the Hospice Unit of Upper Valley Medical Center. She was born September 5, 1959 in Puerto Rico. Bernardina is survived by her six children: Rogelio Monrreal, Jr. (Vidalia) of Troy, Brenda Monrreal (Michael DeHut) of Troy, Jesse Monrreal (Yolande Jones) of Troy, José Monrreal (Brittany) of Greenville, Maria Cruz (Cesar) of Troy, and Isabell Monrreal of Troy; and nine grandchildren: Ramon, Xavier, Iason, Cataleya, Mia, Aiden, Miriam, Marissa, and Marilyn. She was preceded in death by her husband Rogelio Monrreal, Sr. in 1996 and grandson Rogelio Monrreal, III. Bernardina could be described as a fighter. She was a funny, strong woman who enjoyed her Mexican soap operas, playing Mexican bingo, and dancing. She loved to cook and loved bacon. She was a frequent shopper at Wal-Mart and yard sales. She had an extensive DVD collection, which featured many horror movies. Above all, Bernardina loved her family, especially her grandchildren. A Celebration of Life will be held from 1:00PM-2:00PM on Wednesday, November 21, 2018 at Fisher-Cheney Funeral Home, Troy. Interment will follow in Riverside Cemetery, Troy.